DESCRIPTION: Up to 4mm across this midge induced gall starts greenish when first erupting from the upper surface of the leaf but becomes reddish with age. Each gall contains one larva and after the galls have dropped to the floor the larvae will overwinter and pupate. Fresh adults emerge in the spring, lay their eggs on new leaves of the host plant and begin the cycle again. DISTRIBUTION: Widespread and common throughout Britain. 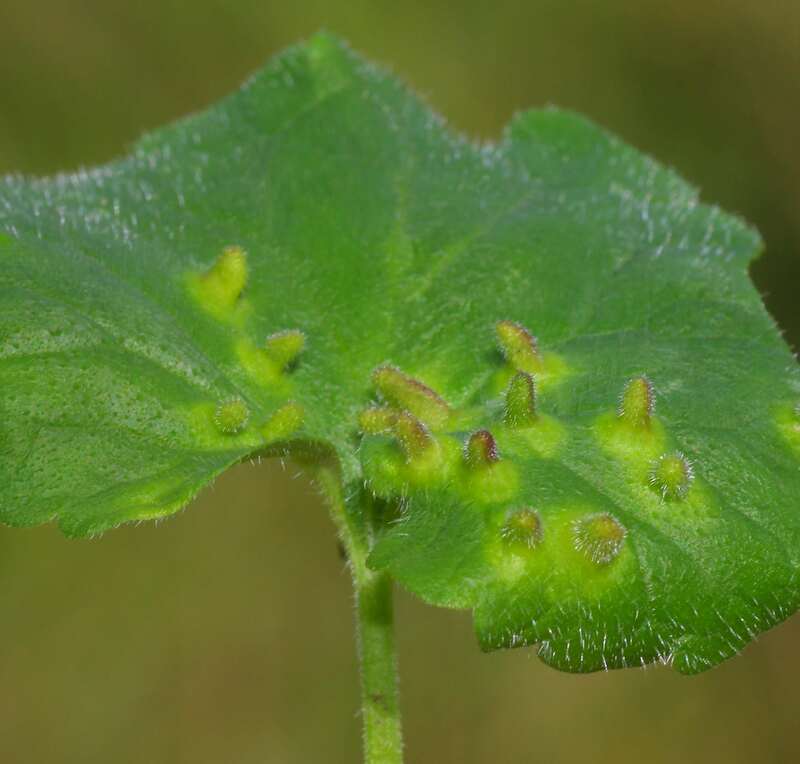 HABITAT: Found on the leaves of Ground Ivy.